With Earth Day approaching on the 22nd of April, let's remember the kids about environmental protection. 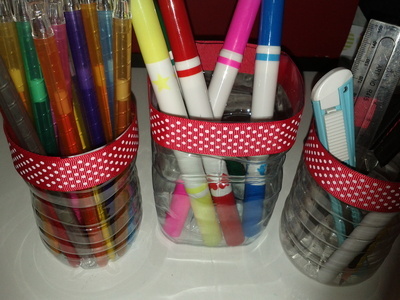 One way includes recycling and here is a way to recycle plastic bottles and turn them into useful and beautiful pencil holders. 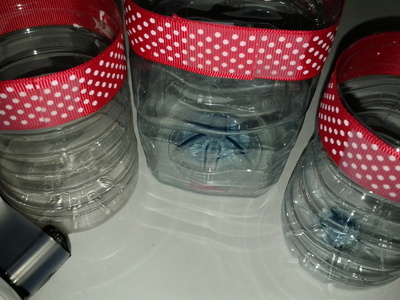 The good thing about those plastic bottle holders is that they are solid and sturdy, so you can put many stationery without them falling over. 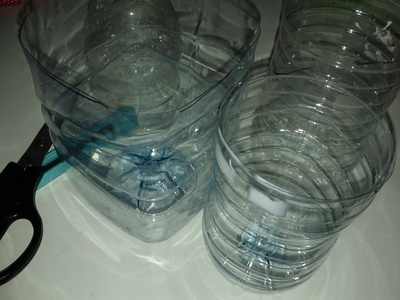 Wash your plastic bottles. Mark a line approximately 10 cm high. 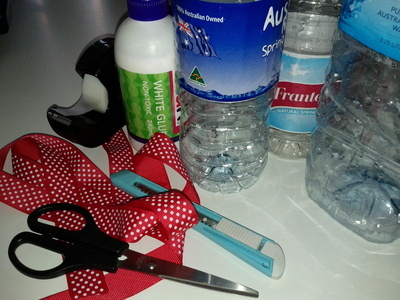 Pierce the bottle with the cutter and continue cutting with scissors. Wipe your holders. 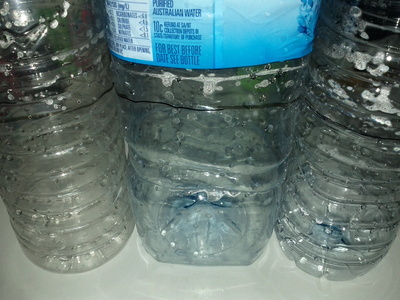 Tape ribbon all around the top. 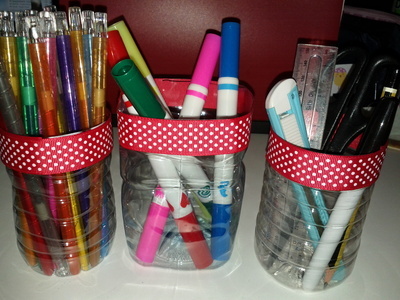 Here you have your pencil holders.